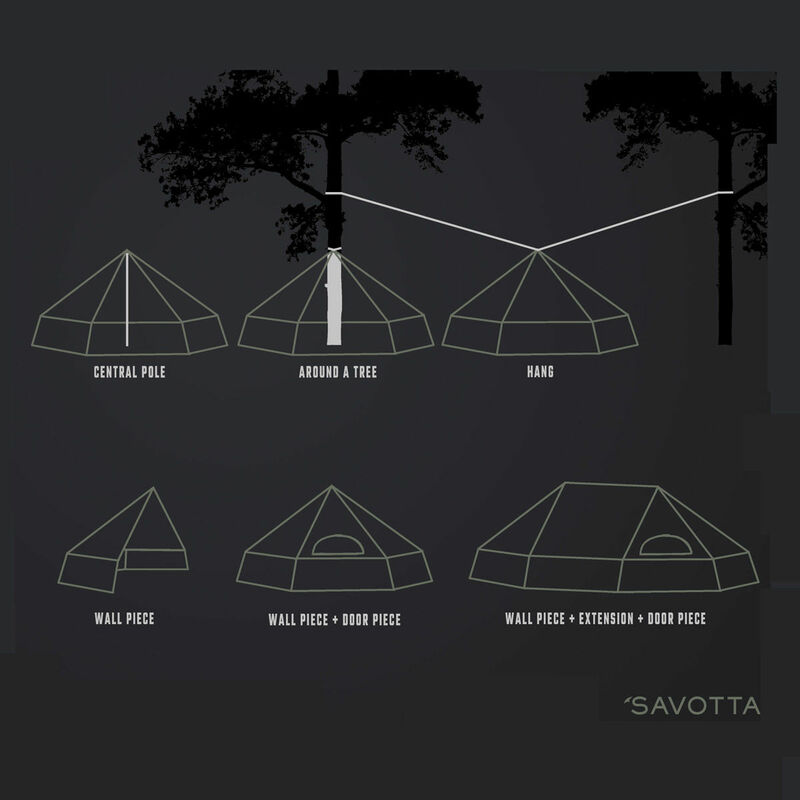 The Savotta Hawu 4 – Wall Piece is one half of the Savotta Hawu 4 tent. 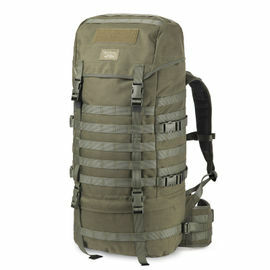 This half is a solid piece of fabric without any openings and comes with a carabiner and military utility strap. 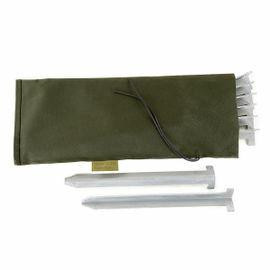 Due to its special design the Hawu tent can be purchased in parts. For the basic tent setup you need the wall piece and door piece. 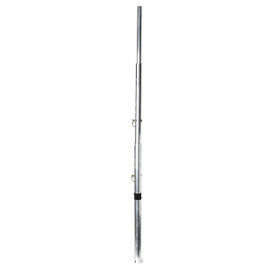 Depending on how you want to pitch it you will also need the Hawu Centre Pole and/or Savotta Tent Stakes. These can of course be made from pieces of wood out in the field but the easiest way is purchasing ready-made, purpose built pegs and poles. If you are interested in purchasing the complete set please contact the office. The Hawu represents a completely new way of designing portable group shelters. The two halves are attached using zippers covered by a rolled storm flap which is secured by webbing tabs. Aside from the usual center pole the Hawu tent can also be pitched around a tree trunk or hung from a branch. 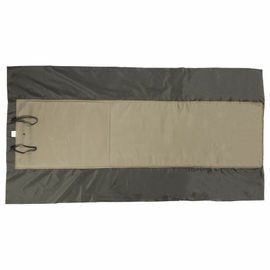 This half of a Hawu tent can be used on its own as a tarp. The option to use a wood burning stove for warmth makes the Hawu 4 the most versatile small tent around. The best possible fabric was sought after for a long time. In the end a suitable specialty fabric was found that met all criteria. 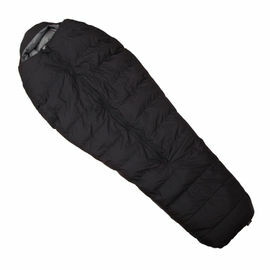 The fabric is waterproof enough but also breathable, it is also fire retardant and mildew resistant. The fabric is made from four different fibres of which two are naturally fire retardant; this makes the fabric inherently fire retardant which means it does not need any chemical treatments. One of the fibres is cellulose which expands when wet thus sealing the fabric. The fabric feels nice to the touch and the weight is reasonable. 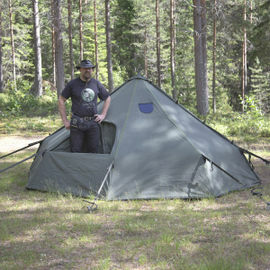 The tip of the tent features excess fabric which can be used to cover up the top completely when pitched using a center pole. 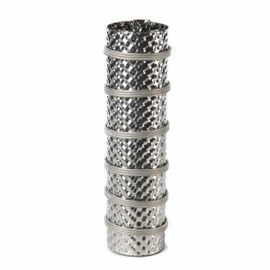 The tip can also be left completely open or open on just one side depending on wind direction. This way the ventilation and evaporation of moisture can be controlled depending on the circumstances. 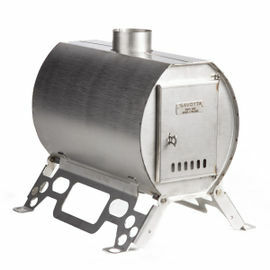 When using a stove for warming the tent it is recommended to keep the tip open to allow the warm air to transport moisture out.